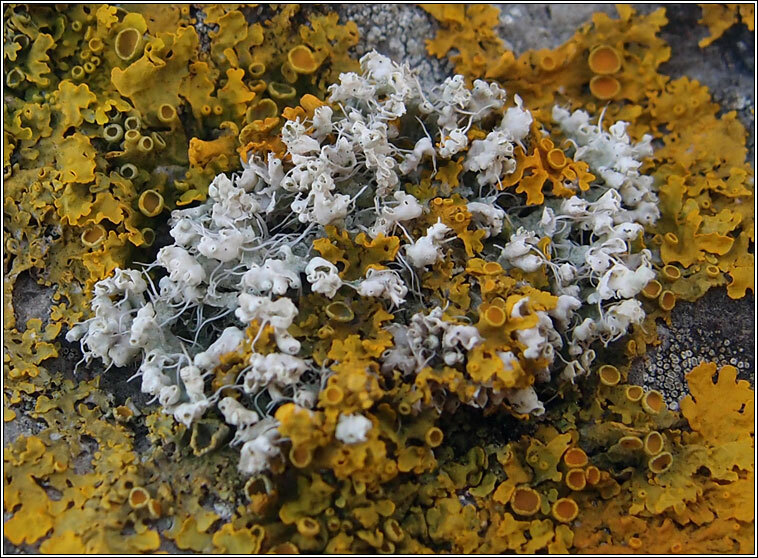 Common on nutrient-rich rocks, tombstones and cement, also on trees. 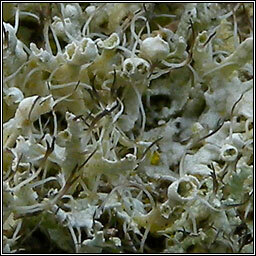 Thallus has small, pale-grey lobes with pale pseudocyphellae and long, marginal, black cilia. The lobe-tips are raised and become hood-shaped, inflating and bursting to reveal creamy-yellowish soredia. When fertile black apothecia are short-stalked and pruinose.